If you are planning on getting a personal loan you need to keep few things in mind about your eligibility criteria. There are certain parameters that are set by online loan app which the users need to satisfy. The number of individuals applying for an easy loan is much higher. The online lenders need to do a thorough background check before approving any loans. Your credit score and history might play a big role while availing a personal loan. This is a no brainer. Loan giving app prefer giving loans to individuals who have a stable income every month. This is the reason most of the online loan app will ask for your income proof in form of salary slips and bank statement with salary credited. Many banks require you to be employed for at least 1 or 2 years. But loan giving app requires your income proof for the last 6 months, which means you can apply for an easy loan with 6 months of experience as well. This is the most crucial part for the lenders while evaluating your loan request. They check your credit history and score before approving or disapproving your loan. Your score will depend on how much credit you have taken in the past and how well have you repaid it. If you have a bad credit score, opt loan giving the app that doesn’t consider your CIBIL score. Online loan app, CASHe studies your social behavior and digital footprint to evaluate your Social Loan Quotient. After checking your employment status, the banks check how well established your employer is. People working for top rated companies will find it easier to get a loan and also the interest rates offered might be lower compared to other users. If you are working for an unlisted or uncategorized employer you can still avail a personal loan with loan giving the app. Most of the online loan app prefer their users to be in the age group of 23 years to 58 years old. Even if you are young and don’t have a credit history, you can still apply for an easy loan online. CASHe lets you take a loan if your age is above 18 years old. You loan eligibility will also depend on the salary you draw per month and also the loan amount that will be offered by the loan giving the app. 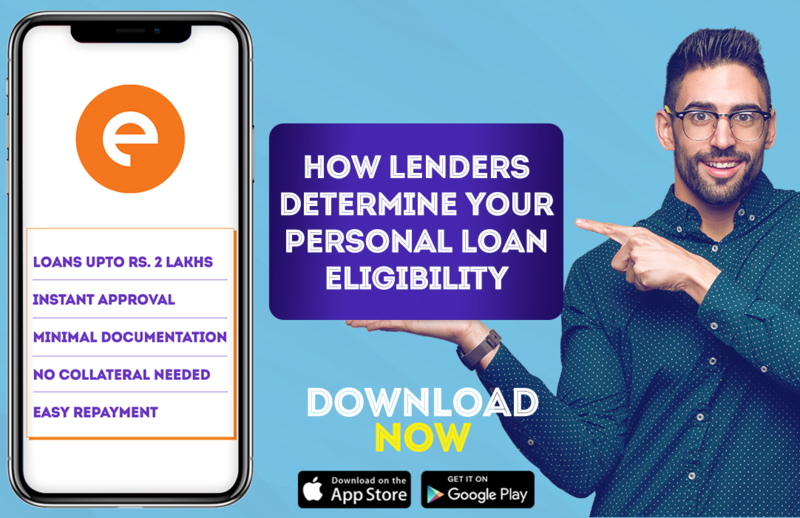 Many banks require your salary to be at least INR 25,000 to get a loan but online loan app will offer you a loan if your salary starts from INR 15,000. These are the major 5 things which a bank or financial institutes or even loan giving app might evaluate. Read the FAQs section of their website carefully to know all the details. Personal Loans with fast approval – It’s possible!